[Book extract] The most controversial aspect of the party's electoral campaign was the 'trolls'. The Modi campaign needs to be recognised for using social media in a way that no other political party had done before. Because they had the first-mover advantage, the BJP was able to garner a huge audience across all platforms. 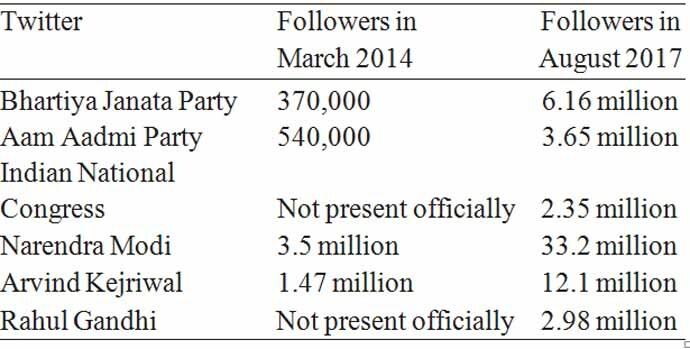 On YouTube, by the end of the 2014 elections, the BJP had an estimated 20 million views (combined) on its official and unofficial channels. Unsurprisingly, the BJP cashed in on its high engagement rates during the campaign. Their approach of cross-platform content dissemination ensured that their followers remained actively involved in the discourse across social media channels. Conversations across platforms were powered using a huge resource of news articles, blogposts and video/graphic content. They were also used to create bulk posts on Facebook and Twitter, and were widely shared by a huge army of BJP/RSS/Modi fans, as an RSS volunteer tells me. Special emphasis was given to sharing this content wherever conversations were happening - be it popular pro- or anti-Modi pages or accounts, Facebook groups, Google+ circles or the webpages of popular news sites. This technique is referred to as "seeding content". Once the content (often containing controversial and questionable material) was seeded, the emphasis was laid on making certain conversations go viral. 7) Engage with the youth and inspire them to contribute their bit towards the mission"
The result was that the campaign yielded high positive engagement across all platforms and beat all other parties both in engagement volumes and percentage. The last weapon in the BJP electoral strategy was WhatsApp, which was where, in my opinion, the real game was played. 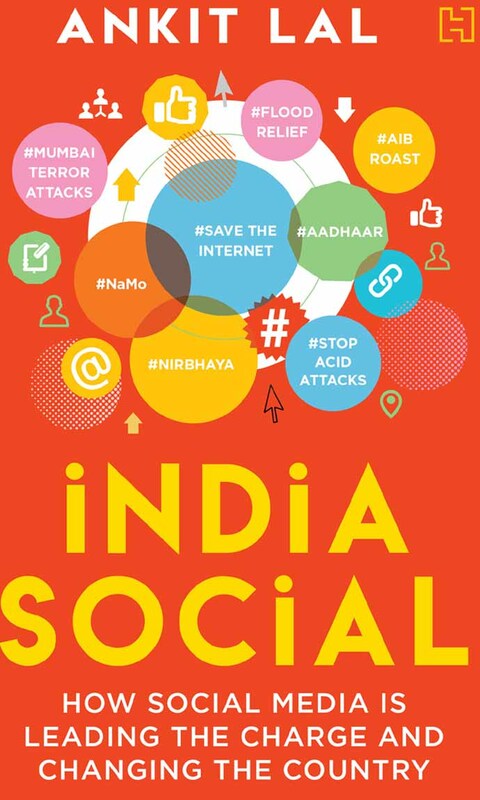 When the BJP noticed that conversations on Facebook and Twitter were becoming highly polarised and it was getting harder to reach out to a neutral audience, it moved to WhatsApp, with strategic "official" and "unofficial" groups. Officially, the BJP launched a "WhatsApp number", requesting people to connect with them over the platform to show support in favour of the "Mission 272+" (that is, the number of Lok Sabha seats needed to form the government in the general elections), but what really worked for them was their unofficial strategy. With the help of the RSS and other sympathisers, the BJP was able to connect with its supporters right to the block and ward level over WhatsApp. This structure followed a simple person-of-contact (POC) model and was based on a hierarchical system. A POC in a Lok Sabha constituency would be responsible for managing groups based on the state Assembly level; POCs at this level would manage groups at the ward level; and the POCs at the ward level would reach out to people at the mohalla level. Such a pyramidal structure of communication ensured the BJP could connect with almost every household in select constituencies straight from the control room. This also meant that any kind of content - truthful or otherwise - could now be spread using these "unofficial" channels, which were free of any kind of censorship or control from electoral authorities and party restrictions. In a master stroke, RSS and BJP volunteers actively invited people to join these local-level groups during their door-to-door campaigning. This strategy was revealed on-air when journalist Ravish Kumar interviewed a social media volunteer at a rally in Faridabad during the Haryana state elections in October 2014. The BJP leadership, however, denied being involved in any such activity. The BJP also invested time in letting its support base connect directly with leaders like Modi, Arun Jaitley and Rajnath Singh via internet. Yuva iTV, a first-of-a-kind internet TV initiative, acted like a second platform to the BJP’s official YouTube channel. Be it live coverage of rallies or pre-recorded campaign videos, all videos were available on Yuva iTV. This initiative, if you judge it in isolation, did not really do wonders. But if you look at it as a part of the 360-degree campaign, the BJP certainly achieved a milestone with this dedicated online channel. In fact, the BJP even launched an app called "India272+", another milestone. This app featured group chats and forums, along with a stream of information and news related to the campaign. By the end of the campaign, it had aggregated over 40,000 downloads with a rating of 4.6 on the Google Play Store. Perhaps the most controversial aspect of the BJP’s electoral campaign was the "trolls". In an online context, trolls are people whose only motive is to derail online conversations and sow discord through abuse, false information or by posting off-topic messages. Unfortunately, no conversation about the BJP’s social media even today is complete without a mention of trolls, who’ve become notorious on a global level, competing with the trolls supporting Putin or Erdogan and now, Trump. Today, although the situation in India may not be as bad as it is in Turkey or Russia, where trolls regularly move swiftly from online threats to offline violence, we are steadily going in the same direction. Unfortunately, in India, trolls have also been legitimised by the fact that the prime minister himself follows some notorious trolls on Twitter, as detailed by journalist Swati Chaturvedi in her book, I am a Troll. In the book, Chaturvedi had listed 26 Twitter trolls that the prime minister follows from his personal account. Of these, he continues to follow 25 (till 27 August 2017, as indicated by the website https:// doesfollow.com.) The one account that has been unfollowed is the Hindu Defense League (@HDLIndiaOrg), which had been suspended by Twitter for violating its policy guidelines. Of the 25 accounts, four - belonging to Priti Gandhi, Rahul Roushan, Shilpi Tewari and Tajinder Pal Singh Bagga - are verified Twitter accounts. Fan armies are nothing new. They have existed before the advent of social media, but this platform has given them the kind of freedom that only comes with online anonymity. The "bhakts" - as the BJP and RSS online trolls have been christened - now number in the thousands, and Twitter and Facebook is full of them. The biggest weapon of a troll is anonymity, because of which they can voice their darkest thoughts without worrying about social niceties. This anonymity has also enabled paid campaigns, built through innumerable fake accounts, used for promoting various ideologies, products or individuals. In fact, this is a global phenomenon, and is not just restricted to India. Executives from one of Britain’s largest lobbying companies, Bell Pottinger, were caught on camera saying the company "drowned" out negative coverage of human rights violations and child labour in several countries by creating fake digital armies and manipulating Google results. This was in 2011. Since then, this problem has only amplified.